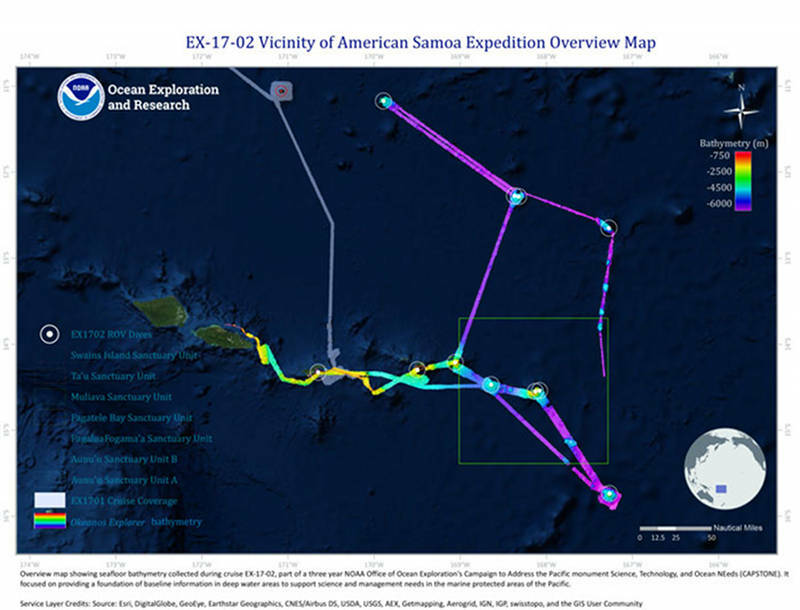 The 2017 American Samoa Expedition Part 1: Suesuega o le Moana o Amerika Samoa, was a 14-day telepresence-enabled expedition to explore unknown and poorly known areas in American Samoa and Samoa with a focus on Rose Atoll Marine National Monument and National Marine Sanctuary of American Samoa. 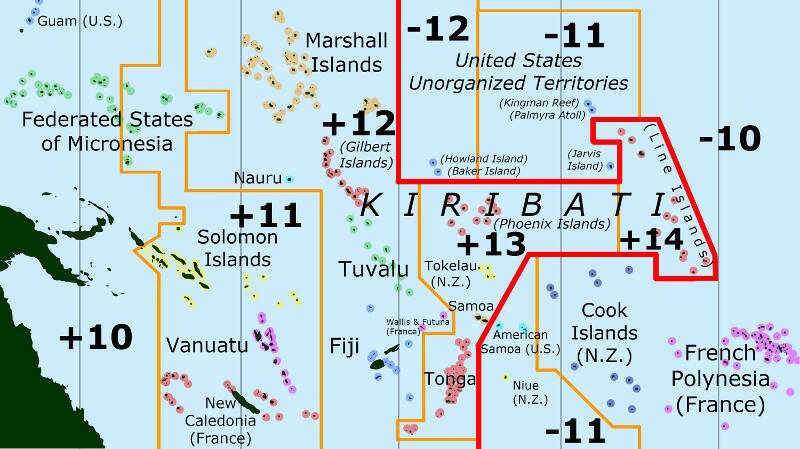 Even though the International Date Line is imaginary, it has implications that can cause interesting dilemmas when planning a cruise that will sail across it. 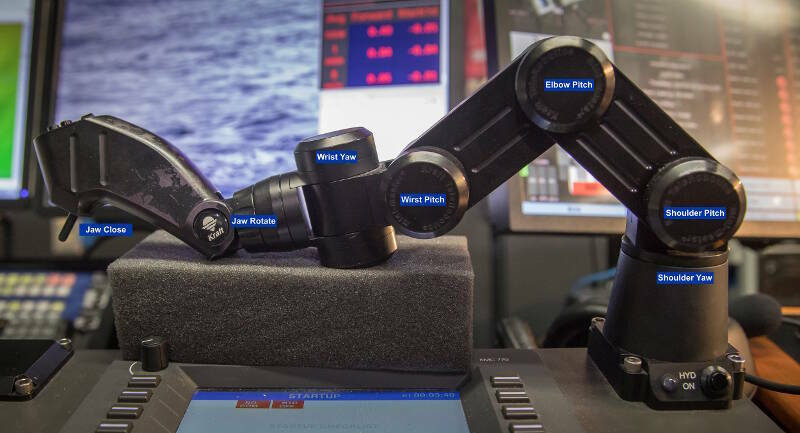 If you watch the live video feed during dives, you will often see a large robotic arm emerge from the right side of the video feed, grab whatever is in the middle of the screen, and run away with it. The part you don’t get to see is how the arm is controlled and the various difficulties that come with this process. 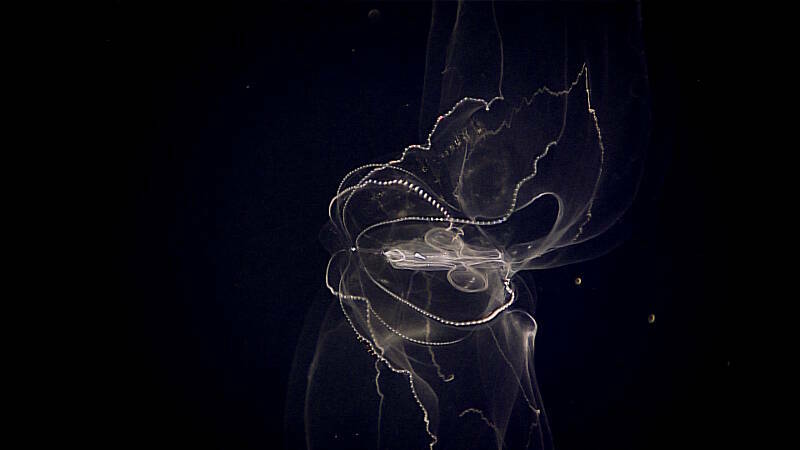 Though it makes up between 95 to 99 percent of the total livable volume of the planet, the water column (all the water in the ocean between the surface and the seafloor) remains one of the most poorly explored environments. The different roles and responsibilities, robotic equipment, software tools, and operating procedures (including ROV/Seirios launch and recovery) constitute an "exploration system" that all comes together during a dive to satisfy the interests of the scientists. We Collected a Sample – Now What? 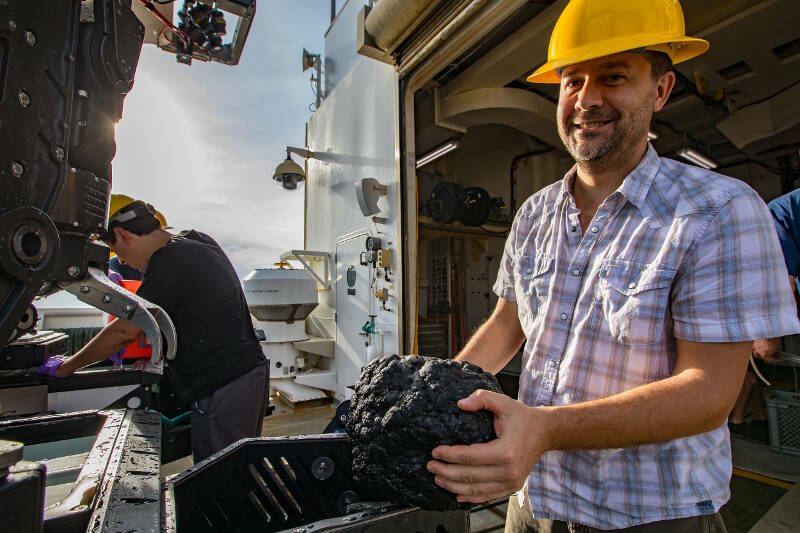 If you’ve tuned in to the live video from NOAA Ship Okeanos Explorer, chances are you’ve seen remotely operated vehicle Deep Discoverer (D2) collect geological and biological samples from the seafloor. Ever wonder what happens to those samples after they are collected? During the 2017 American Samoa expedition, scientists hope to dive at Vailulu’u Seamount, weather permitting. 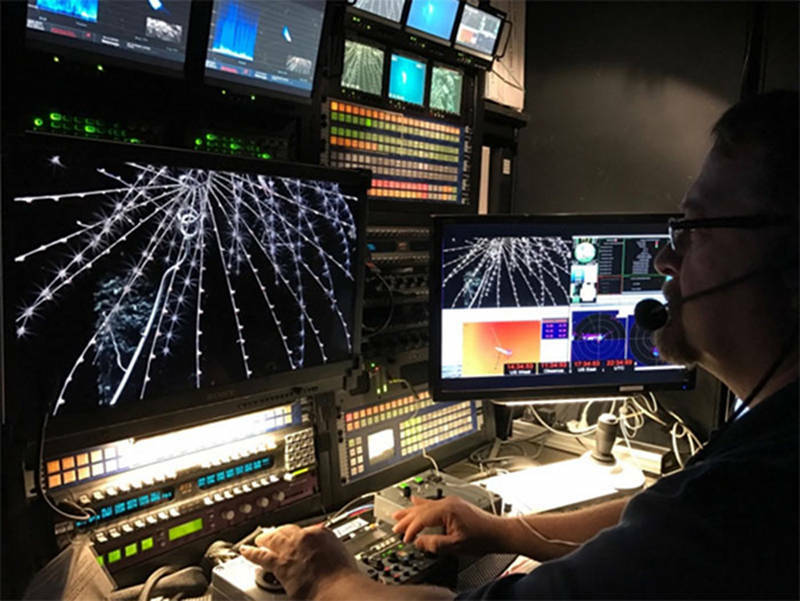 In anticipation of the dive, NOAA Ship Okeanos Explorer resurveyed the seamount’s summit several days ago using the ship’s multibeam sonar to look for bathymetric changes since the last time the seamount was mapped. You see, Vailulu’u is an active submarine volcano and is known to be restless. Explosive eruptions, such as those from hotspot volcanoes, may generate volcanic sediment layers that form weak zones between the predominant submarine pillow lavas and/or lava flows, leading to volcanic flank failure. This has led to the common occurrence of large-scale (mainly submarine) landslides around volcanic ocean islands, as has been defined in areas such as Hawai‘i and the Canary Islands. 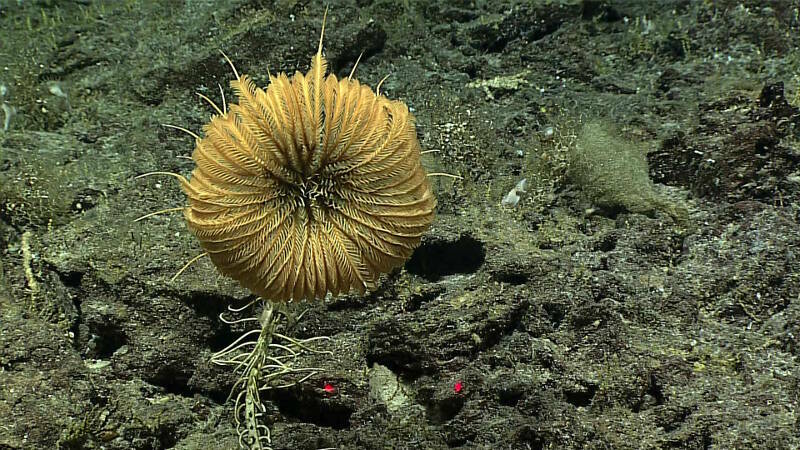 Sea lilies and feather stars, properly called crinoids (which means lily-like), are among the strangest of creatures that scientists will encounter during the expedition.